While you might not be able to imitate LeBron James and Kevin Durant on the court, you can off the court thanks to Dress for the Day. The NBA’s biggest names gathered in Toronto for the All-Star Game and they brought some of their hottest outfits with them. While you might not be able to imitate LeBron James and Kevin Durant on the court, you can off the court thanks to Dress for the Day. Be sure to check out their app and previous style guides for all of your sartorial needs. As MVP of the All-Star game for the second year in a row, Russell is on fiyah on court and his fashion skills off court are just as sizzling. I mean who else can look this good rocking denim on denim? To get his look, start with a fresh Supreme hat and gold chain. Get his exact denim deckcoat here (or if you’re on a budget try this one). Pair with a graphic Nirvana black and white t-shirt. If you’re in the mood to burn some dollars, cop Russell’s jeans here and finish the outfit with some casual black sneakers. We can’t guarantee that you’ll be making NBA history, but we can guarantee that you’ll be a style sensation just like our boy. Kanye may have stolen the spotlight with his Yeezy show at New York Fashion Week, but Dwyane takes the cake for style connoisseur at All-Star weekend in Toronto. He put together a casually cool outfit comprised of pieces that all men should have in their closet. Accessorize with a fedora hat and bold watch. Next, add a classic black t-shirt and some slim-fit chinos. Complete the look with a grey bomber jacket and of course some brown leather kicks. Now, excuse us while we go drool over Gabrielle’s amazing outfit. How does LeBron get ready for his 12th consecutive All-Star Game? By dressing for game time, of course. 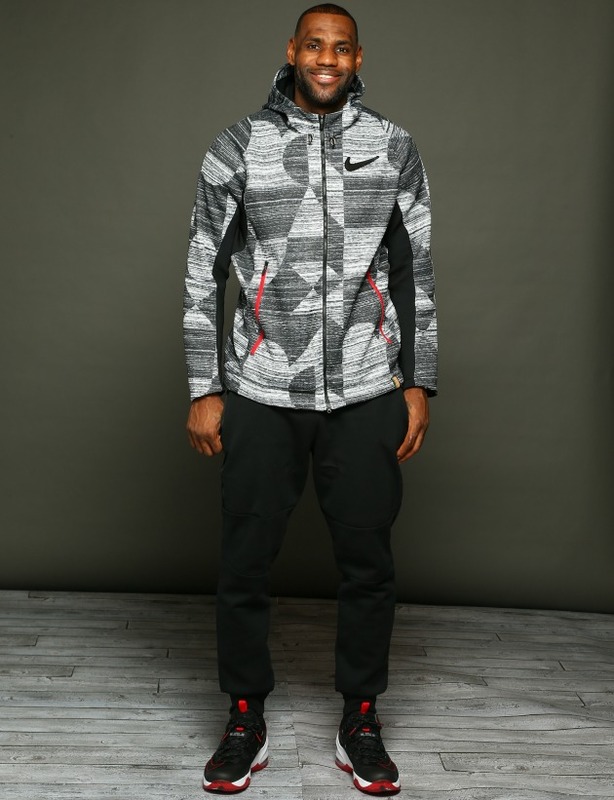 With a head to toe "Just Do It" attitude LeBron crushes it in his All-Star ensemble. He keeps it fashionable and functional with a Nike printed hoodie, a pair of black joggers, and bold Nike sneakers like these or these. We love how LeBron continues to keep his athletic gear on trend, with just the right amount of contemporary detail. What do we love most about Kevin Durant? He tears it up on and off the court regularly! 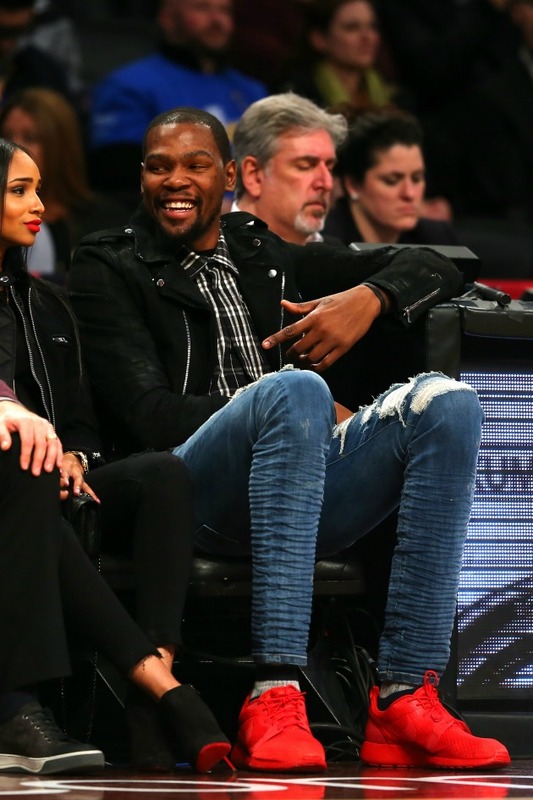 From his stellar performance at the 65th All-Star Game to his edgy fashion choices while watching court-side. We can't get enough! Durant is all smiles in ripped jeans, a plaid button down shirt, a leather jacket and red sneakers like these. Wanna feel as baller as Durant? Opt for these red hot luxury kicks! Front-row fashion at its finest.